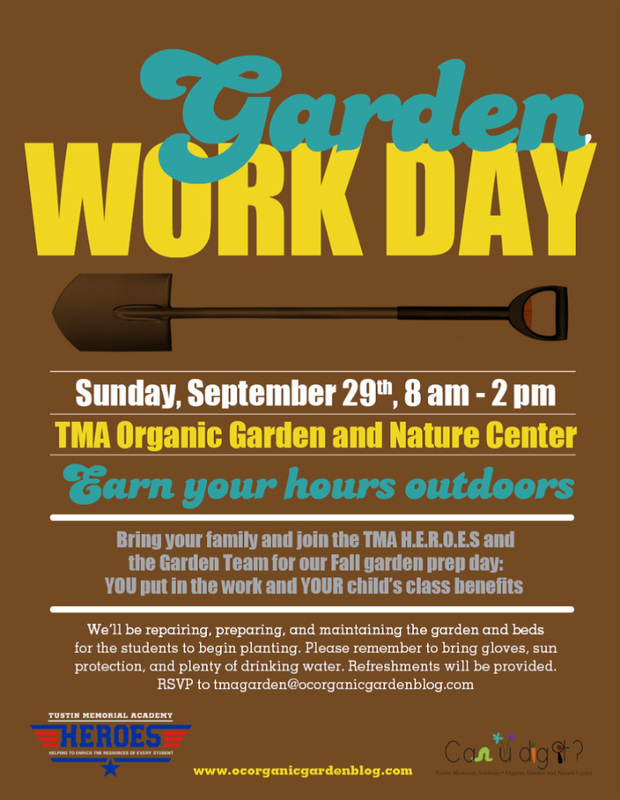 Earn your volunteer hours early by bringing your family to the TMA Garden Workday on September 29 from 8-2 pm. HEROES and the Garden Team will be there preparing the garden for our children to start planting, exploring, and composting. Bring gloves, hats, sun block, and lots of water. Refreshments will be provided. Come for all or just part of the time.